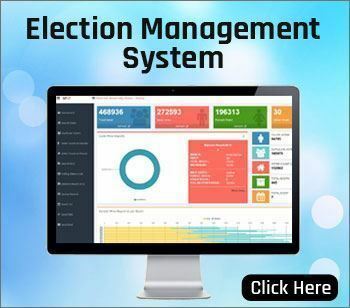 Election Software MVI, provides Political Consulting, Political Survey, Opinion Poll, Exit Poll, Constituency Profiling, Election Management and Political Campaigning for Political Parties. We also Provide Voter software which contains all minute level details of the study in one place. We have a varied client base consisting of Political parties as well as individual MP's, MLA's and aspirants. All the data will be available 24X7 and can be accessible from anywhere via using Internet. We have defined a concept of Booth Incharge and Line Incharge that can be saved & searched later on when needed. User can also manage each and every voter by identifying and entering information like Caste, Social Status like Doctors, Engineers, RWA like groups. Your data is 100% safe as no one can copy it by simple copy and paste operation. Brainguru SMS provides a cost effective and Cheap SMS delivery capability with fast, simple, effective & efficient real-time communication. There are boundless bulk SMS Software's available in Market, but before buying any such or cheap SMS software and missing edge of revolution. Election Software has the leading political and social research unit. With over india dedicated social researchers. Election Software Political & Social is uniquely placed to conduct research on any social issue, in any environment. A Election software supporting all survey modes, in any language for all market sectors. We have plenty of experience helping customers get more from their online surveys. Snap gives you the tools to create and manage great looking interactive and engaging online surveys. When it comes to data, Snap's analysis and reporting suite enables you to deliver the information that counts. Plus you get a friendly personal service too!